New book to be released by Gestalten. Above: Oded Ezer (image via moonriver), experimental type. 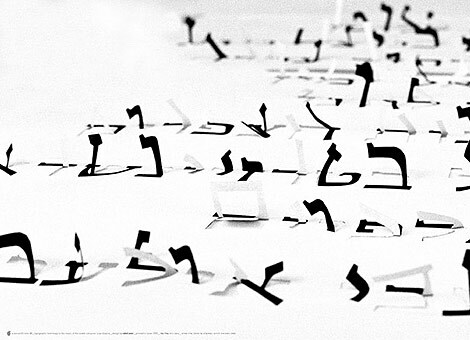 See this intriguing interview and review (Haaretz, Letter Perfect by Yuval Saar) of his upcoming work, Oded Ezer: The Typographer’s Guide to the Galaxy (Gestalten, 2009). This entry was posted by Erik Brandt on Saturday, March 21st, 2009 at 7:07 PM	and is filed under Aktuell, Color, Education, Geotypografika, Globalization, Graphic Design, International, Internet, Musica Viva, News Links, Typografika, Typography.